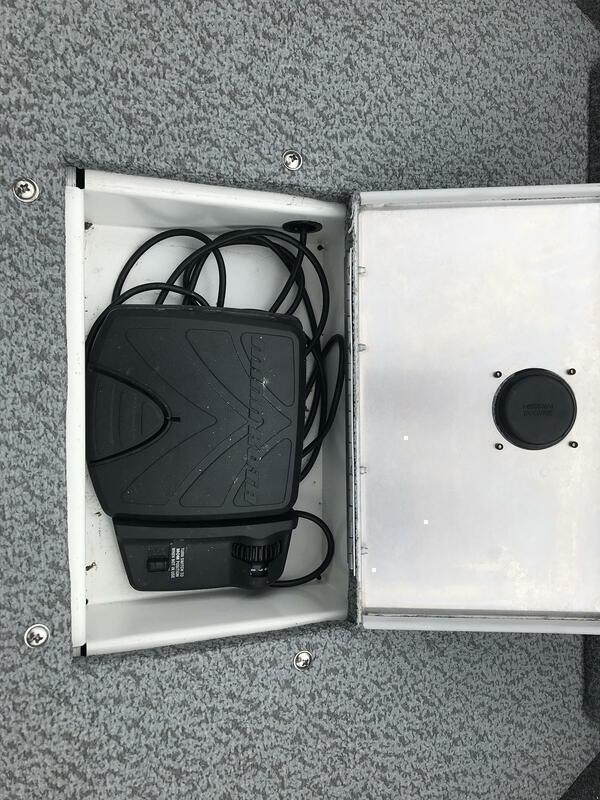 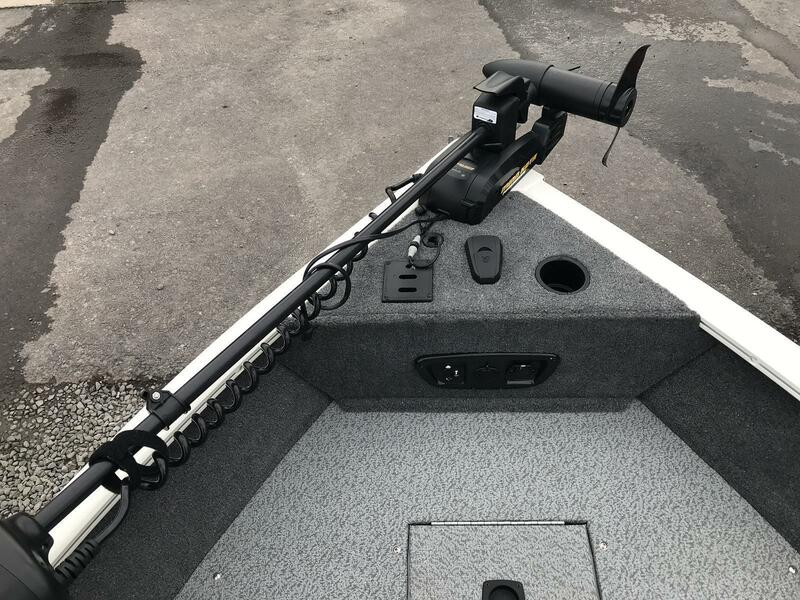 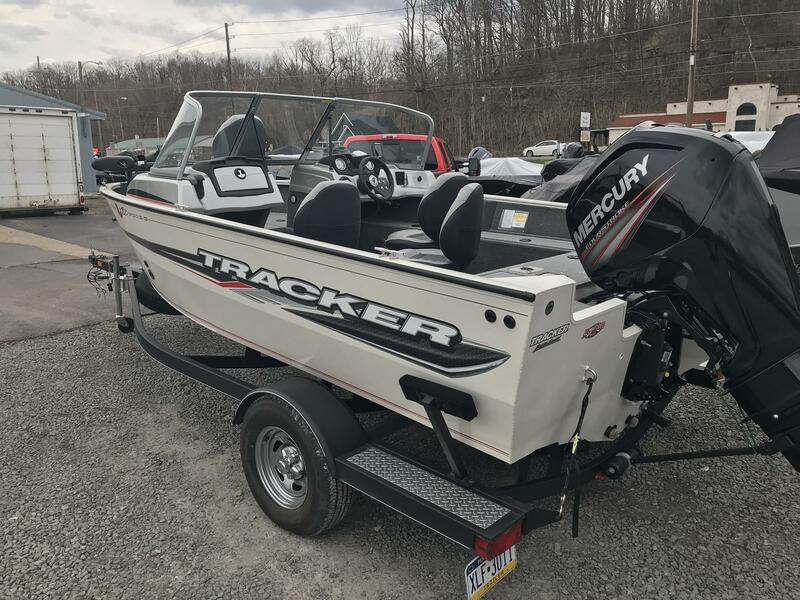 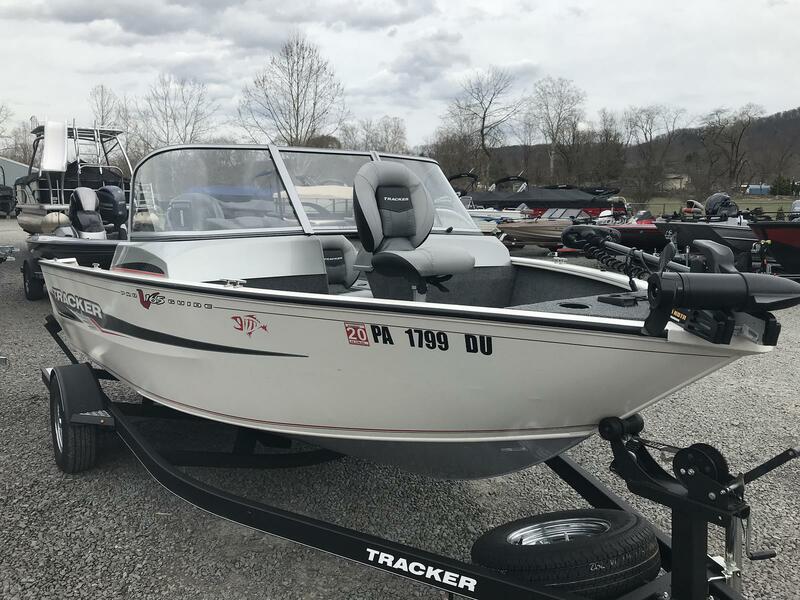 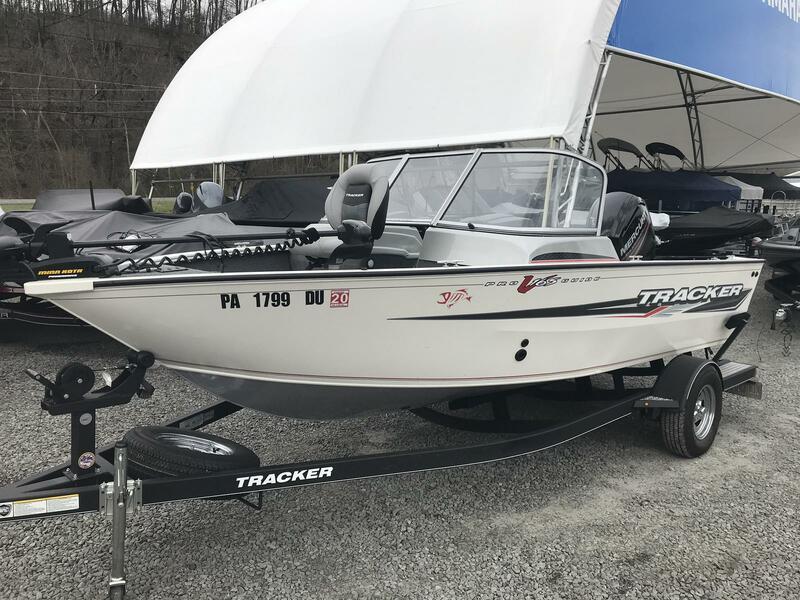 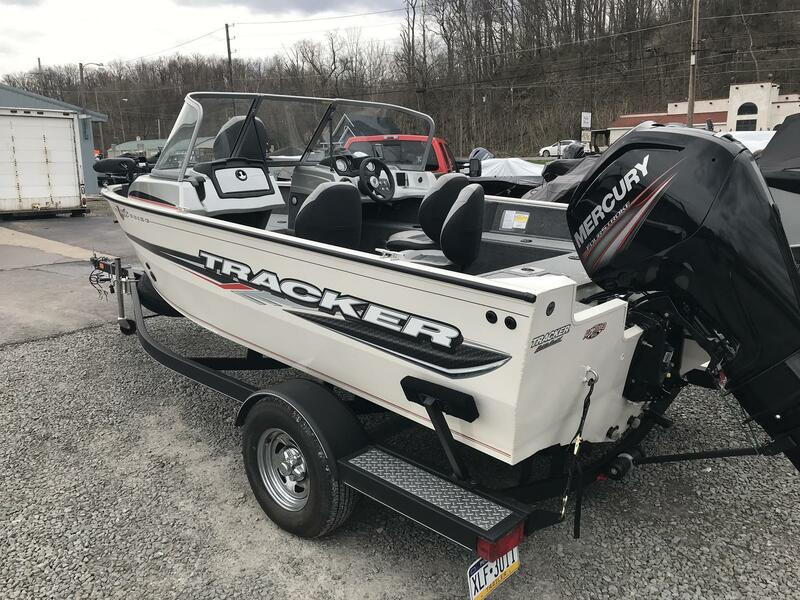 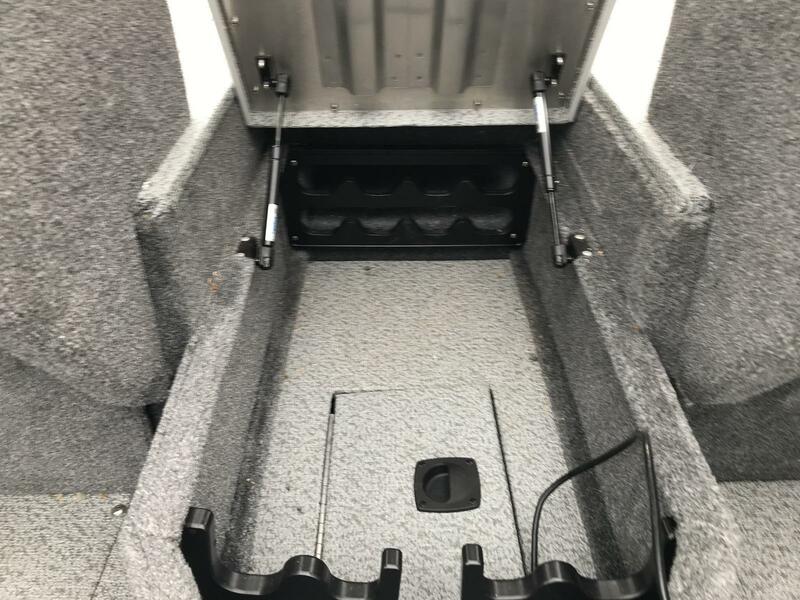 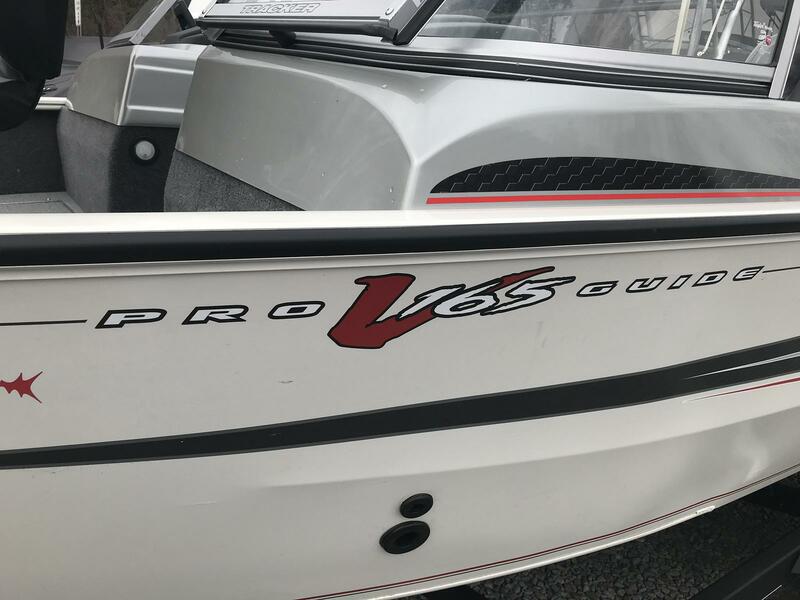 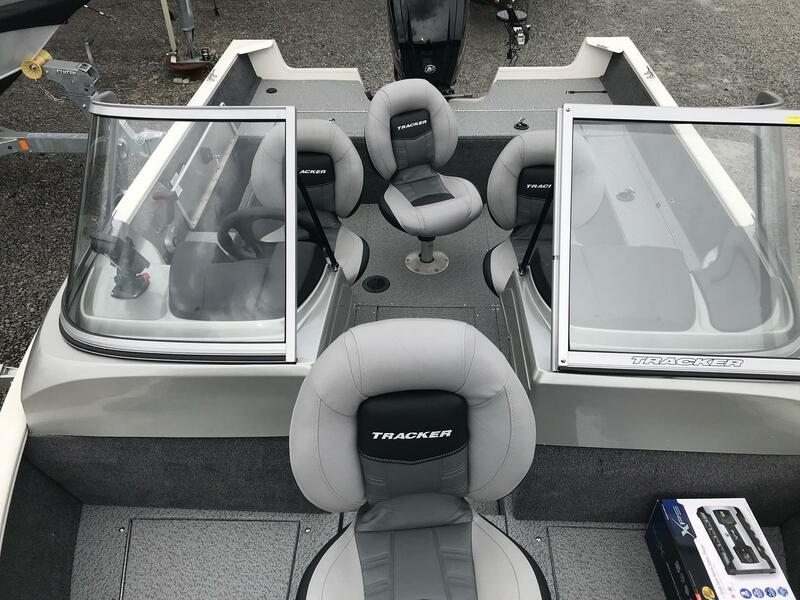 The all-new TRACKER Pro Guide V-165 Walk Thru is a tough fish and ski boat that's ready for both serious fishing and adventurous family fun. 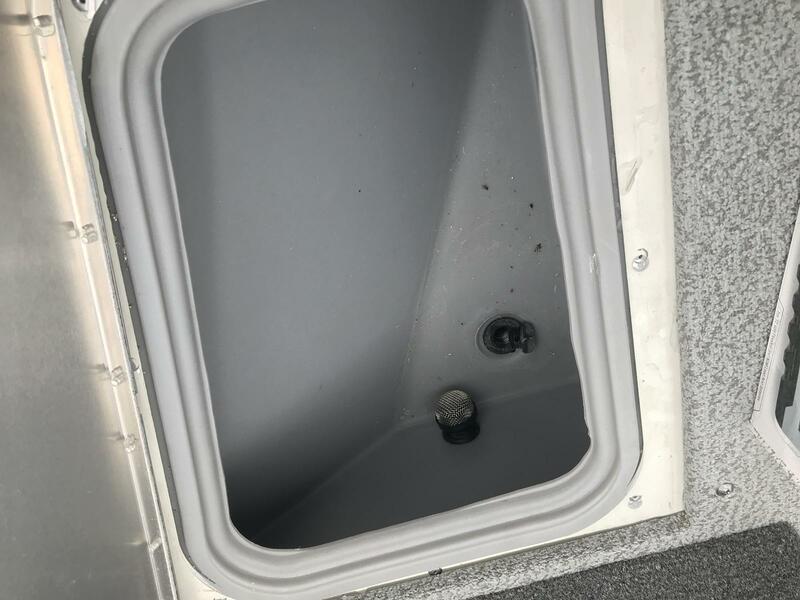 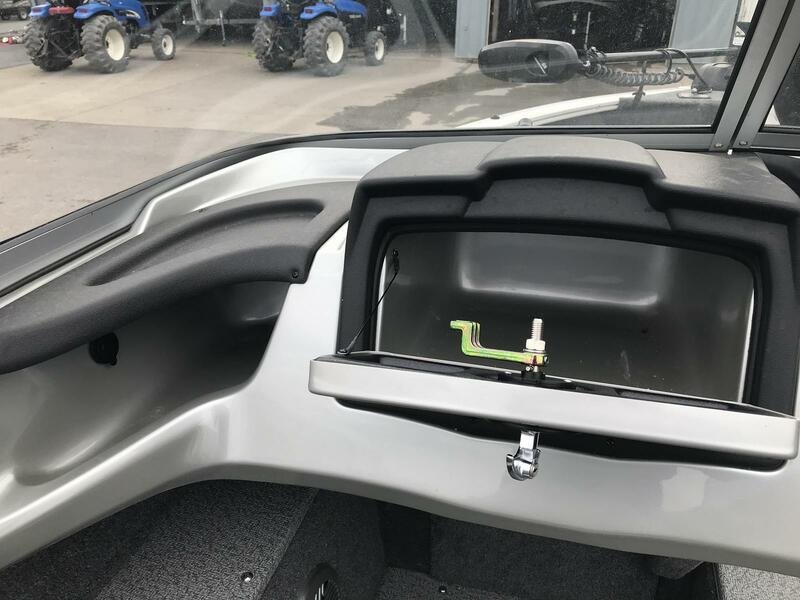 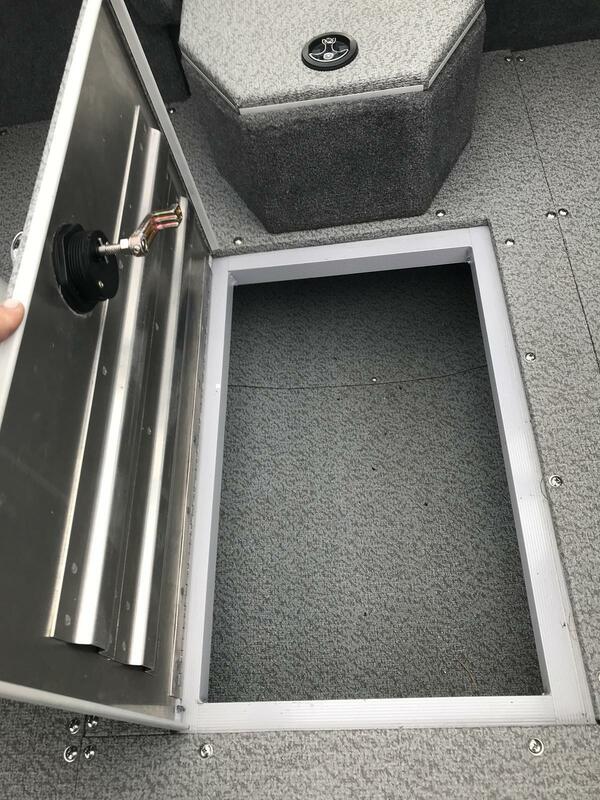 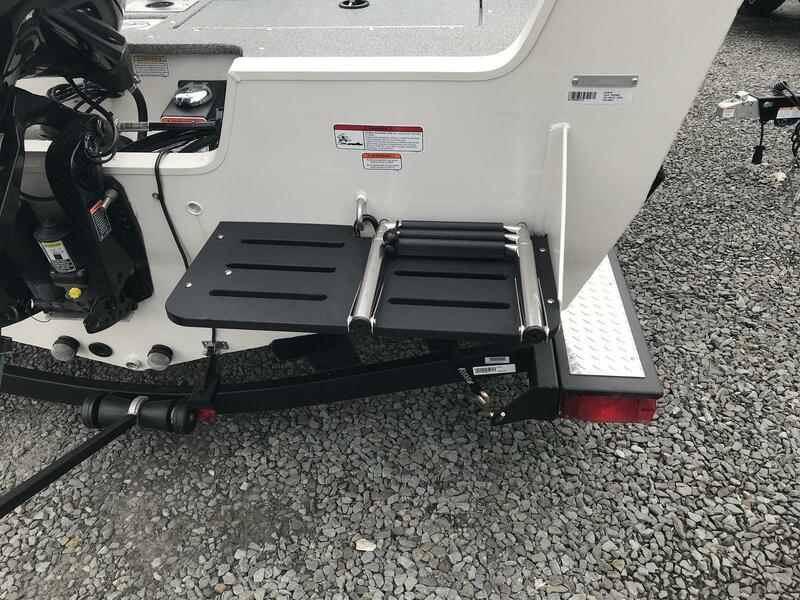 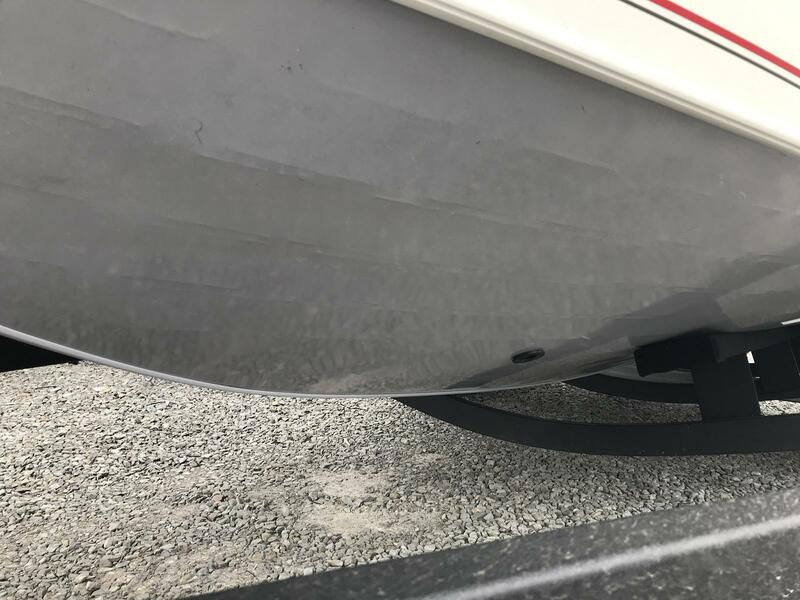 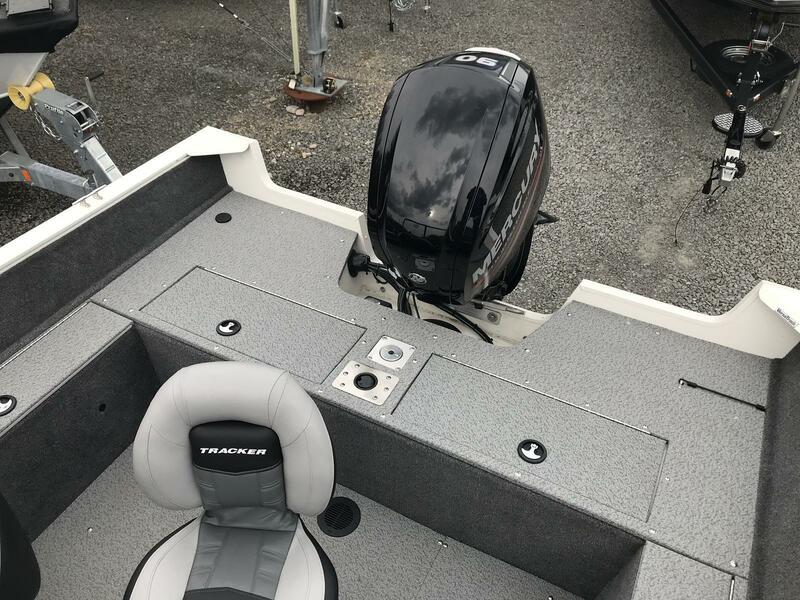 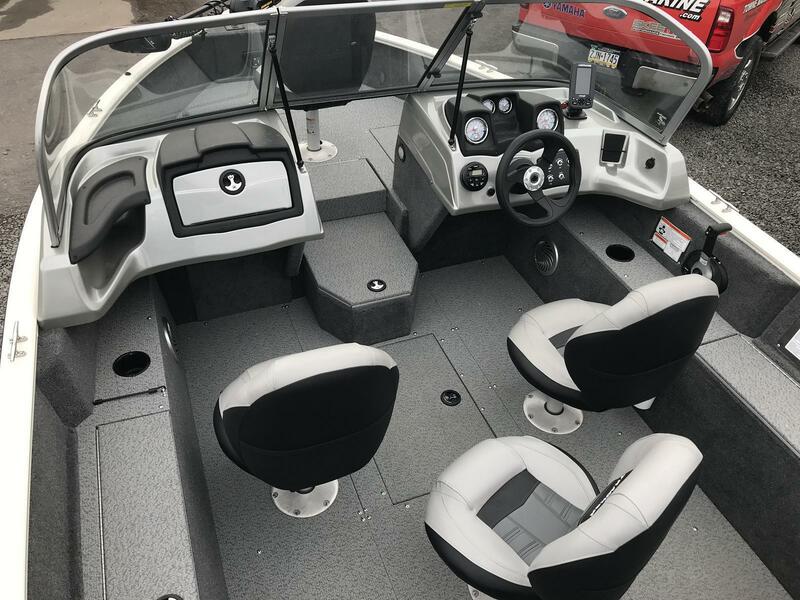 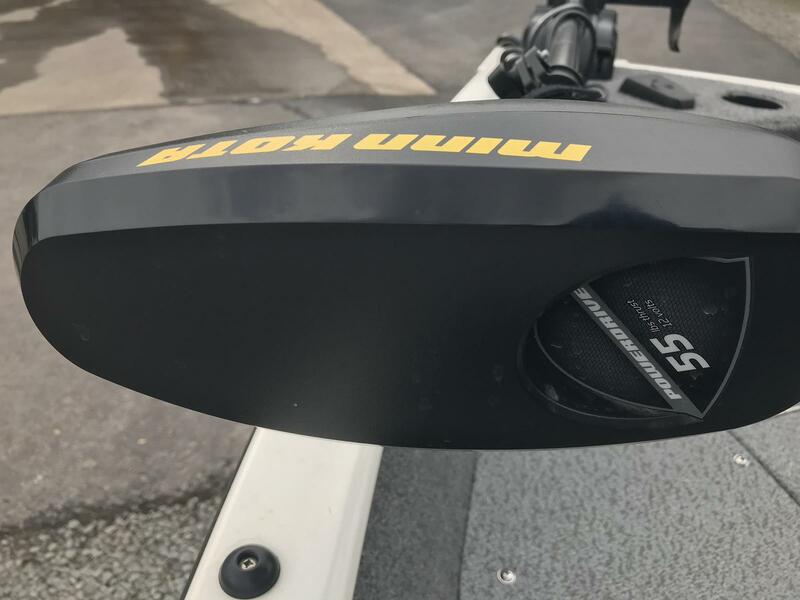 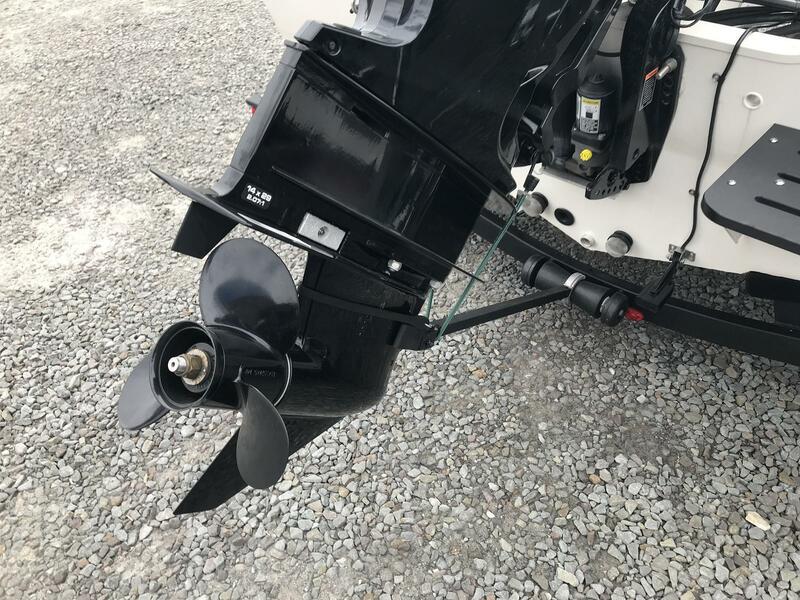 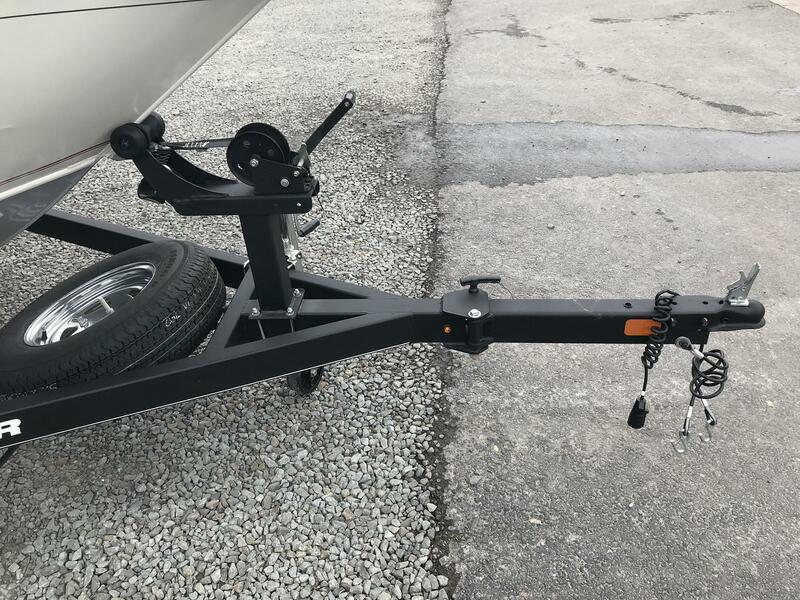 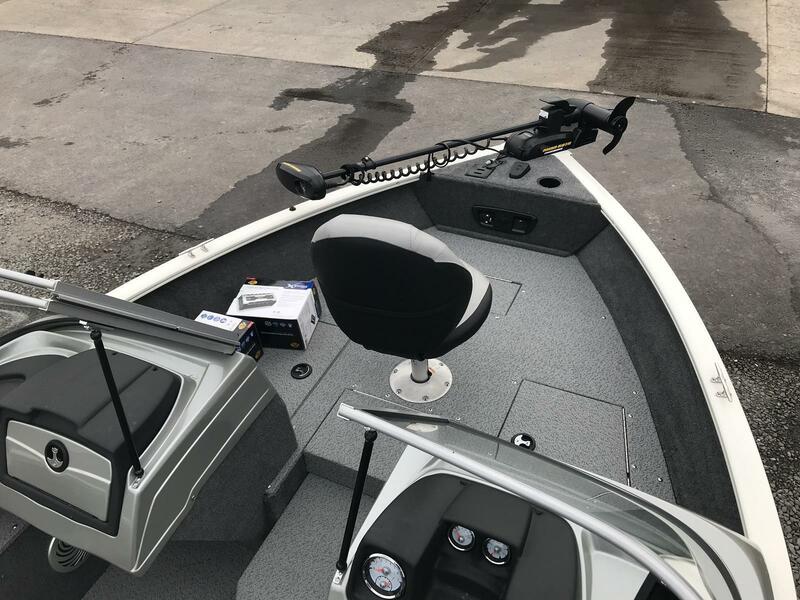 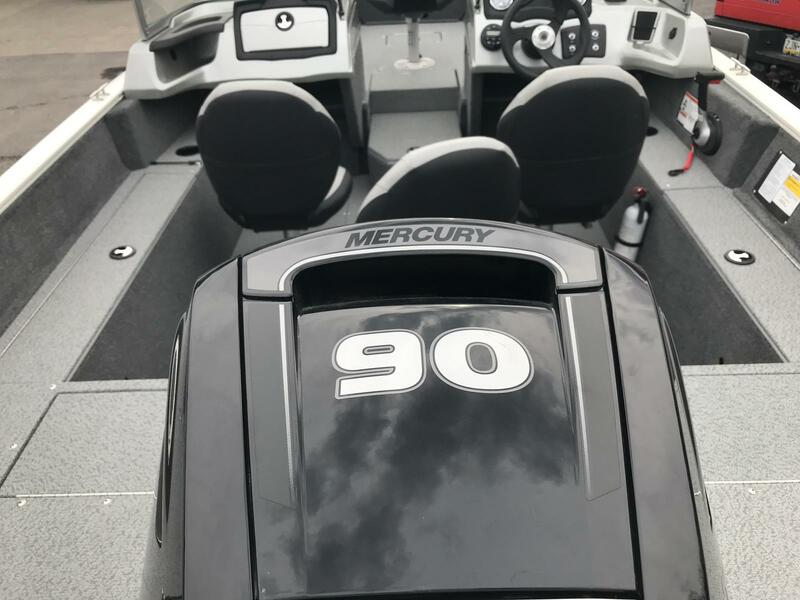 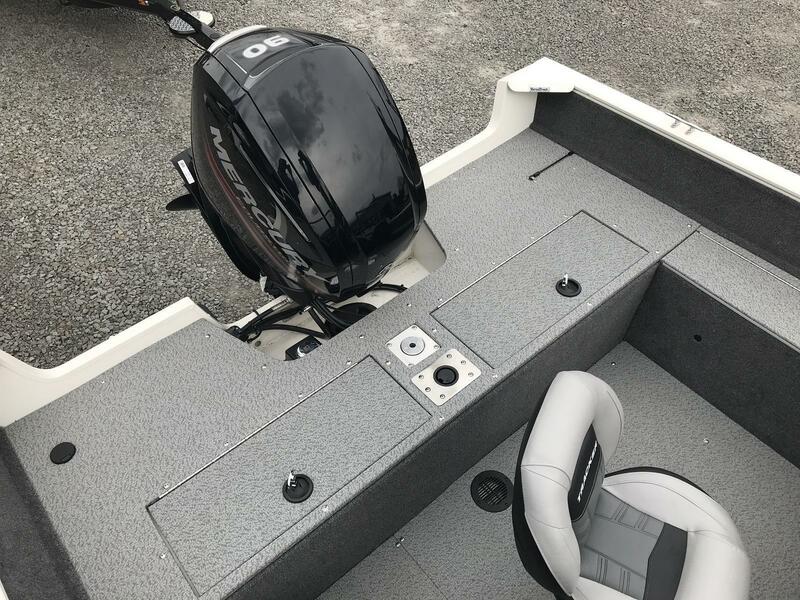 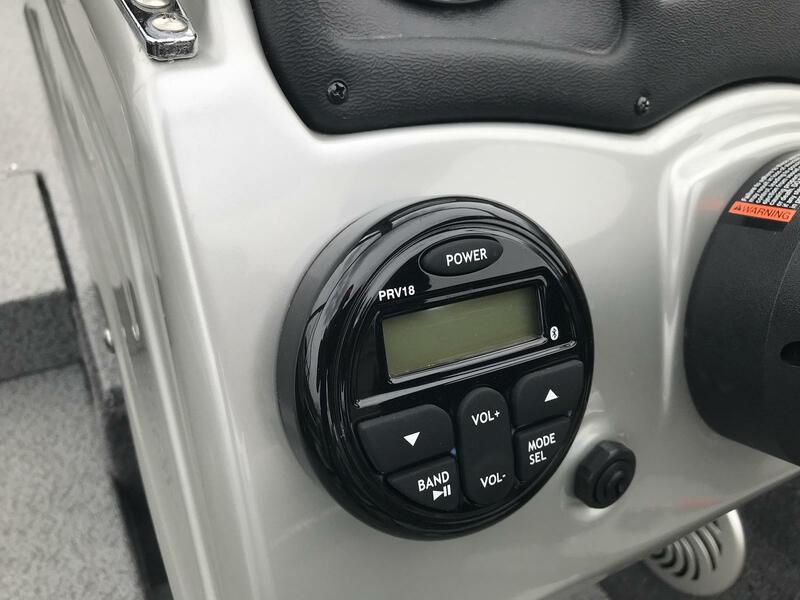 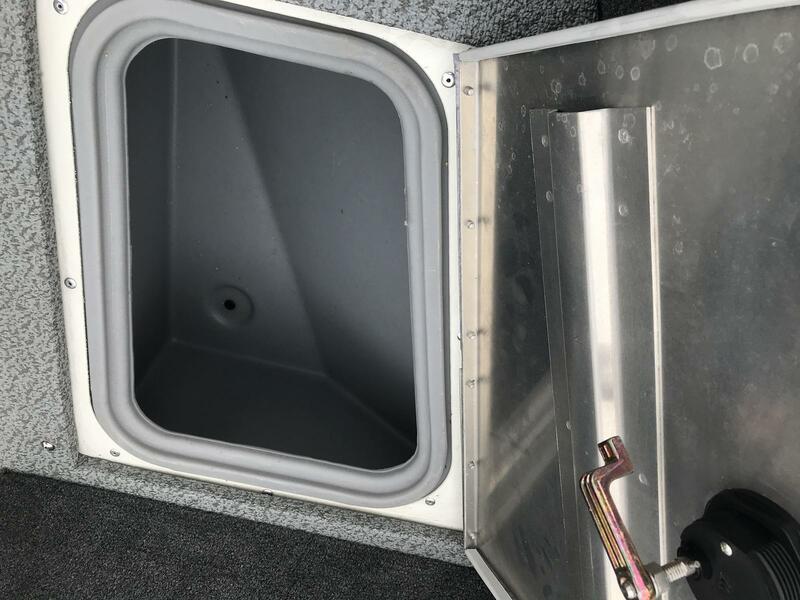 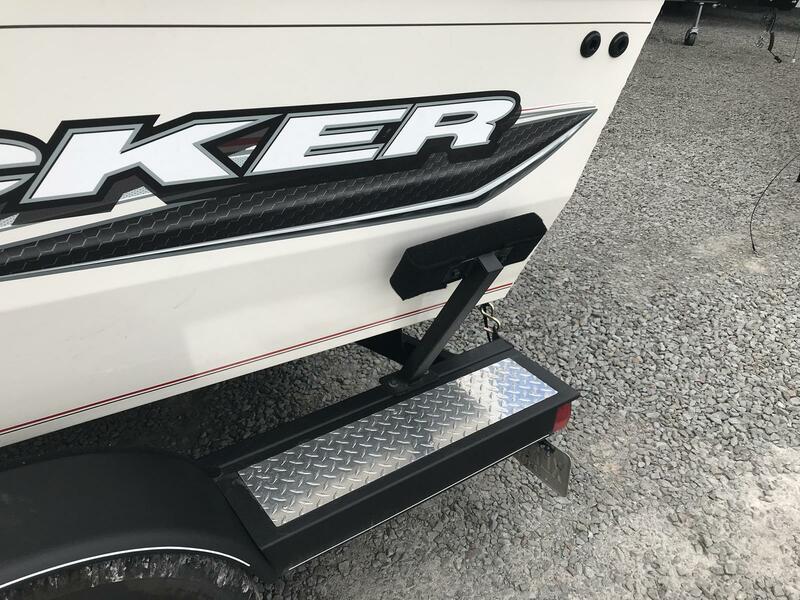 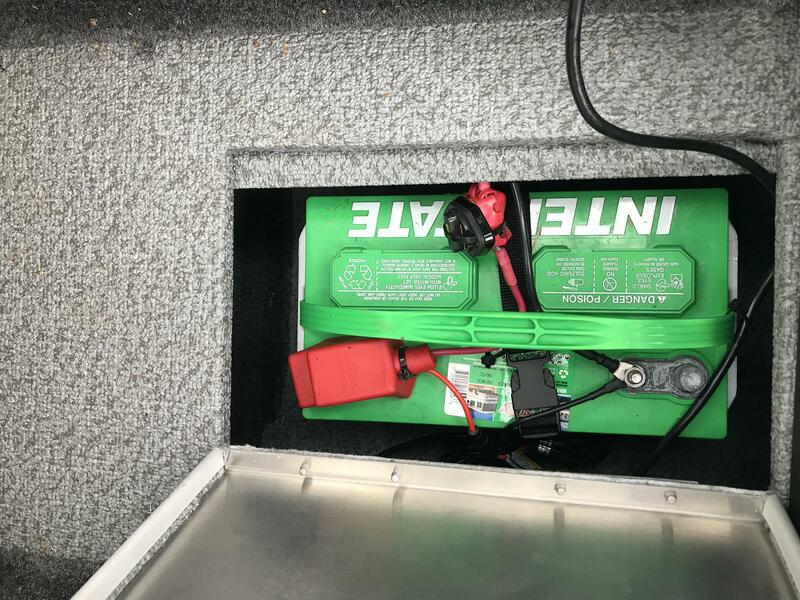 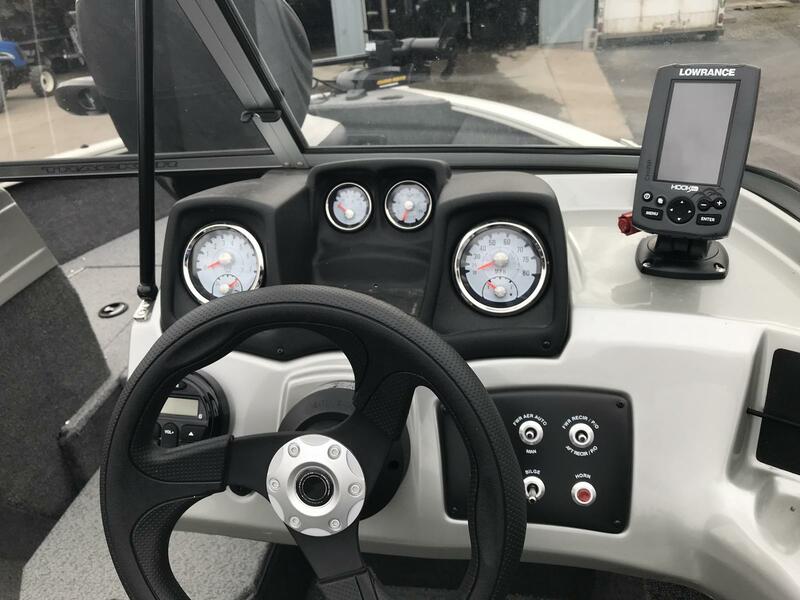 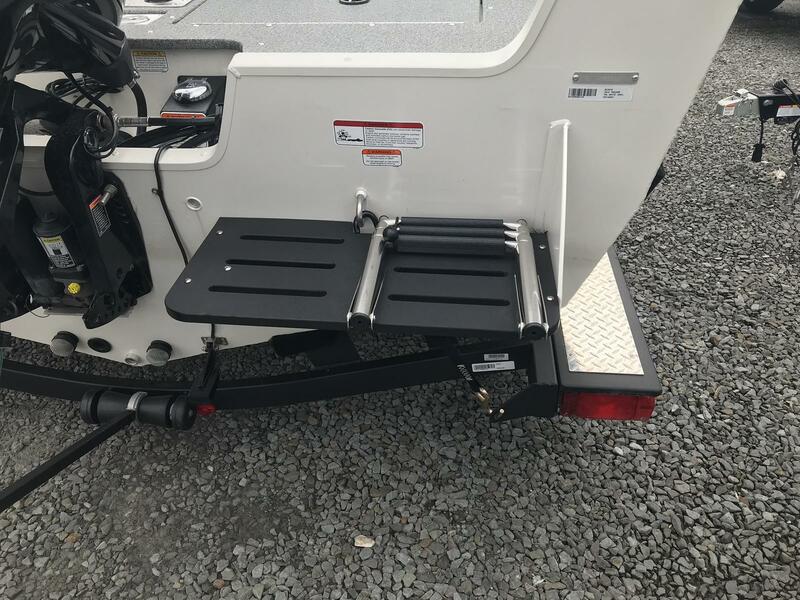 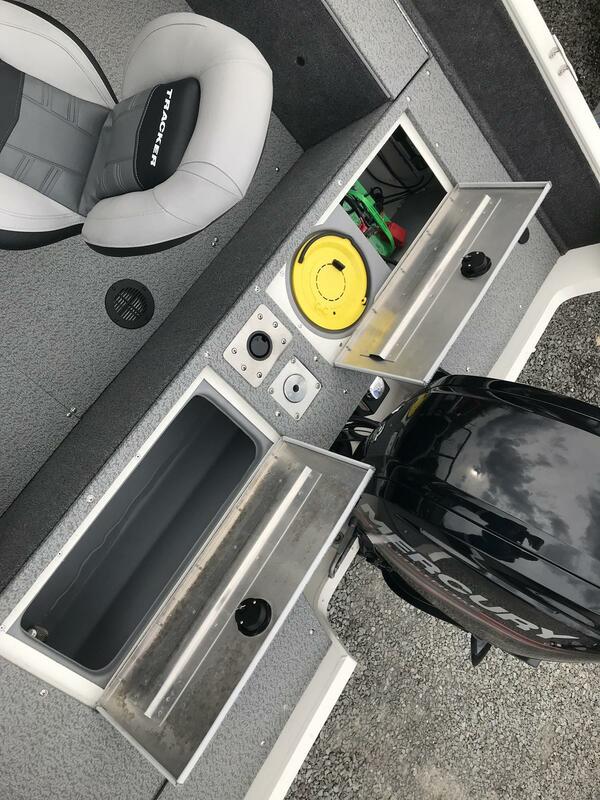 The .100-gauge aluminum hull is unified with the box-beam transom and stringer system by skilled welders, and the interior is optimized for fishing—plus, it's ready to accept an optional ski tow pylon for tubing, skiing and more on-the-water fun! 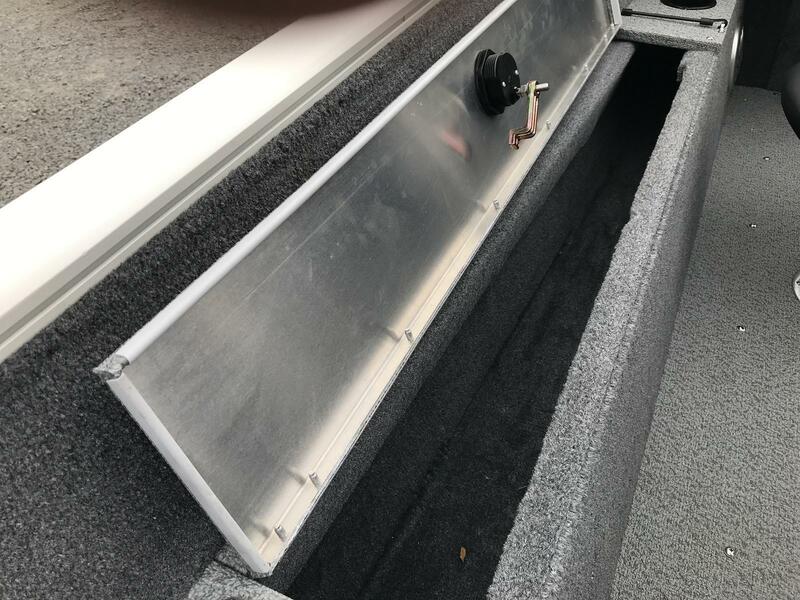 Length w/swim platform: 17 ft. 6 in. 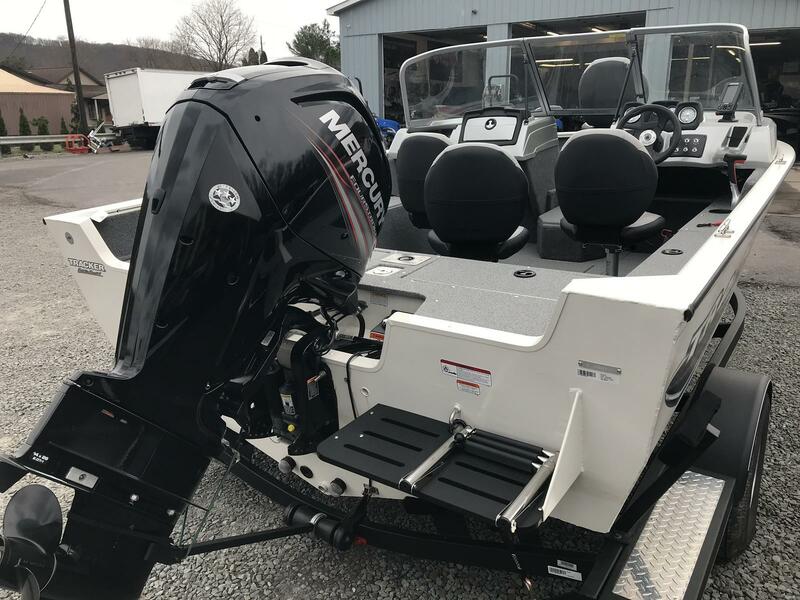 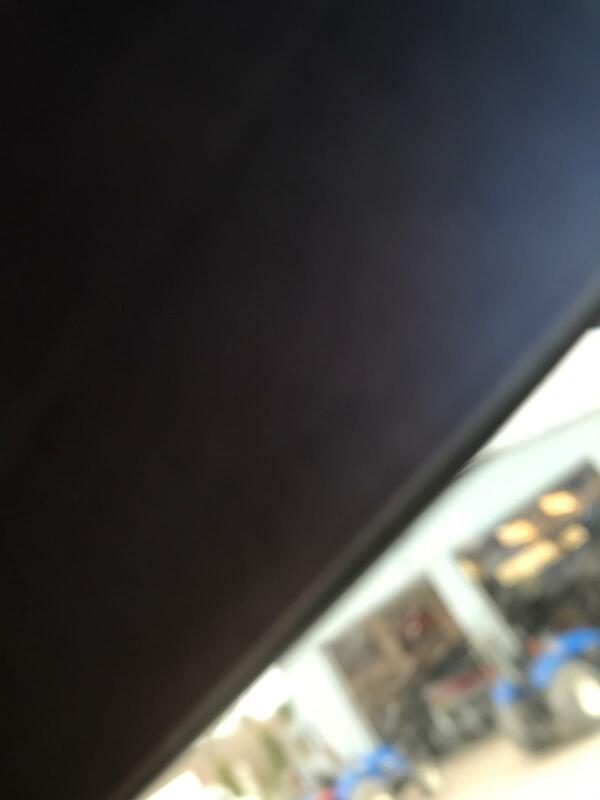 Average package weight: 2844 lb.